Love is in the air here at ContractHireAndLeasing.com as Valentine's Day rolls round once again. But we’re not talking about Love Actually, When Harry Met Sally or any other soppy rom-com … we’re talking about When Neil Met Giulia. We get to drive a multitude of beautiful, shiny, new vehicles as part of our job, but we'll admit that when the inevitable happens and we have to hand the keys back, some goodbyes leave us more inconsolable than others. What better way to kick things off than with an Alfa Romeo... it's been one of the most evocative and romantic brands since that white 1966 Spider tore up some Californian coast roads in The Graduate (and proceeded to run out of fuel.. not break down, as many claim). The Lexus brand has come a long way in recent years and, while its larger saloon cars might still leave you a little cold, its bold LC 500 is capable of setting your heart alight. 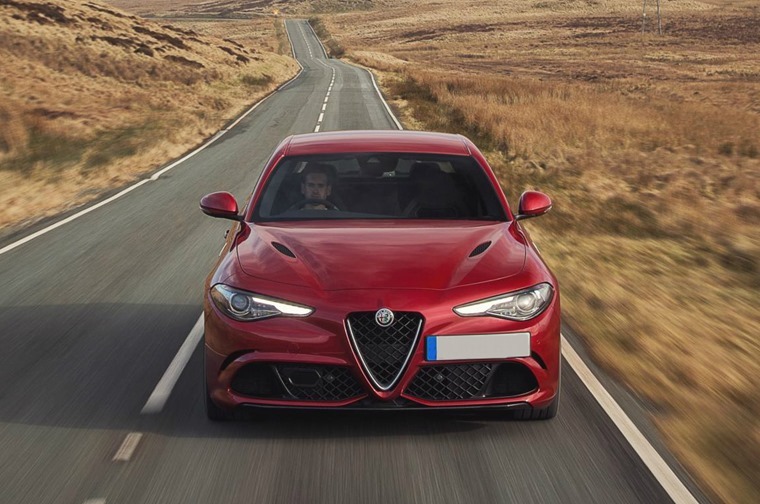 With tonnes of road presence and a face that demands attention, it's a truly grand, grand tourer. 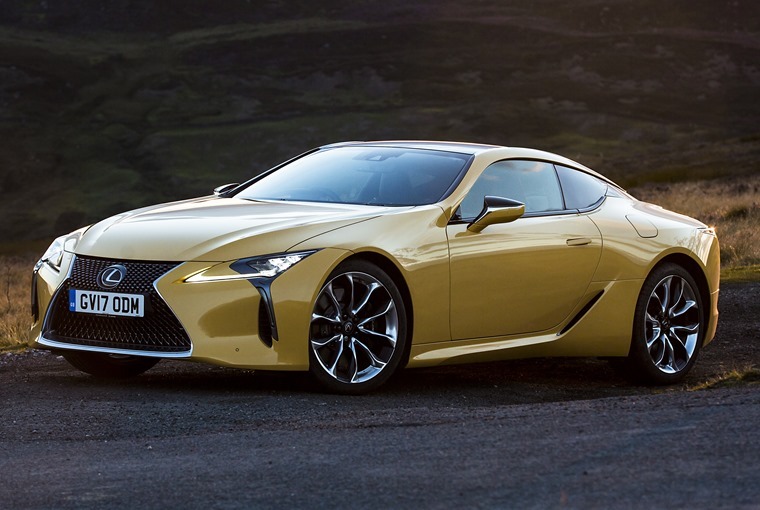 Thanks to its concept-like looks, silky smooth 10-speed gearbox and 471bhp, Lexus has really created an alternative to Aston’s DB11 in the LC 500 – it just happens that it will cost you significantly less. They don't come more iconic than the Ford Mustang. 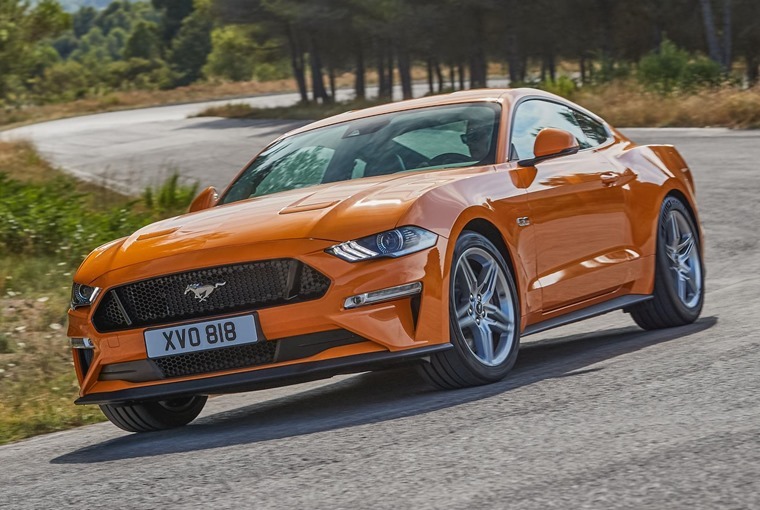 Our love affair with the original pony car started way back in 1964 and it's still as strong – if not stronger – than it's ever been. That’s mainly thanks to the fact that the latest version is available in right-hand drive. Who said the Germans can't do romance? Not us, because we've driven the latest 444bhp RS4 Avant and immediately fell in love. Even with those flared arches and a set of eye-catching wheels, its looks are rather pedestrian. But this is an estate with a unique ability – a unique ability to propel you from 0 to 62mph in a whisker over 4 seconds. It’ll put a grin on your face even quicker. 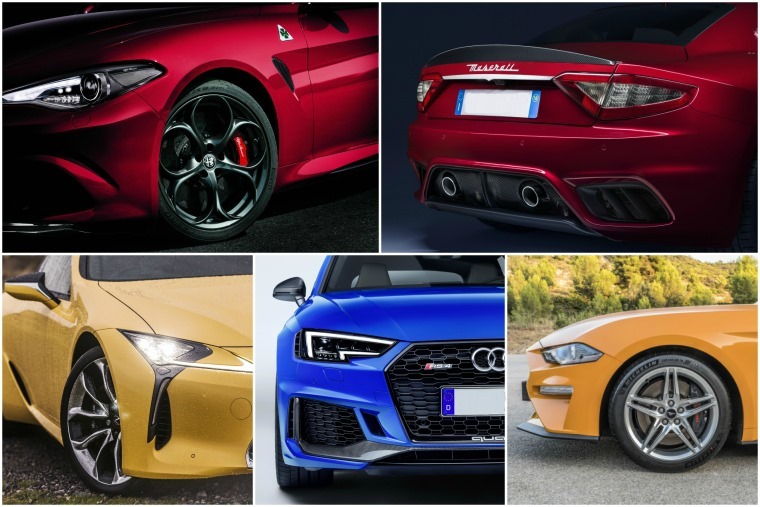 The twin-turbo V6 isn't the only reason to love it however – a highly advanced quattro four-wheel drive system provide supercar levels of grip that make blasting down back roads addictive. 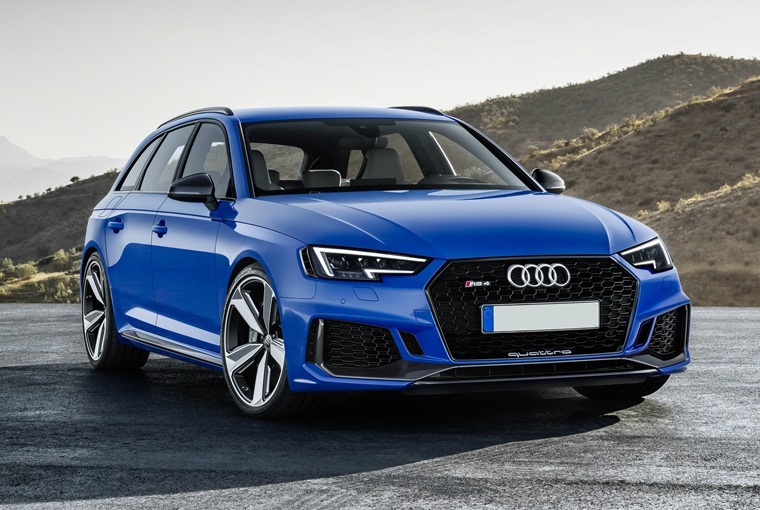 If you need a practical family car that doubles as a rocket ship, the RS4 is the perfect tool for the job – you’ll find yourself eeking out every journey just to savour the time behind the wheel all the more. Arriving way back in 2007, the Maserati GranTurismo is a bit of a dinosaur now, but we still love it. 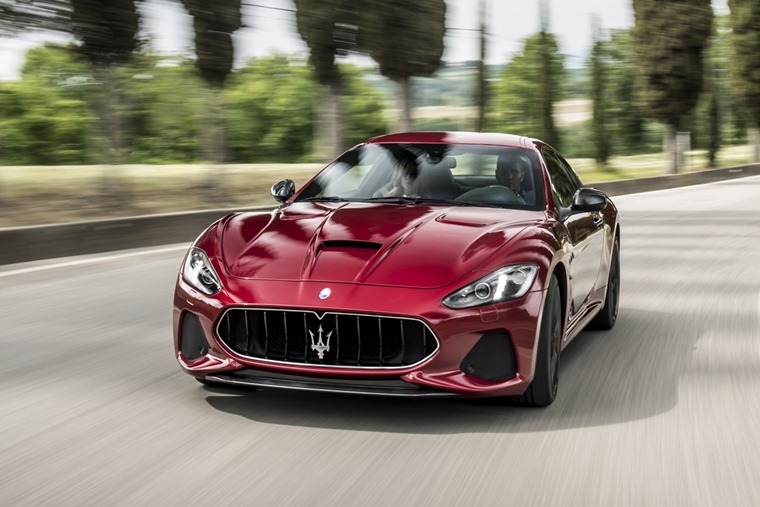 We could have chosen the Ghibli, or perhaps the new Levante SUV, but neither are capable of delivering that Maserati magic in quite the same way as the GranTurismo Coupe. It looks every bit as gorgeous today as it did a decade ago – testament enough to those timeless Pininfarina-penned lines. Powered by a potent 4.7-litre V8, it can’t claim to be as quick as today’s Italian supercars, but that’s not the point: whether you’re popping down to the shops or blasting down to the south of France, this car delivers a feel good factor like no other.